I'm A Celeb Star Emily Atack told to 'lose weight'! I'm a Celeb star, Emily Atack rose to fame on E4's The Inbetweeners as Will Mckenzie's love interest. 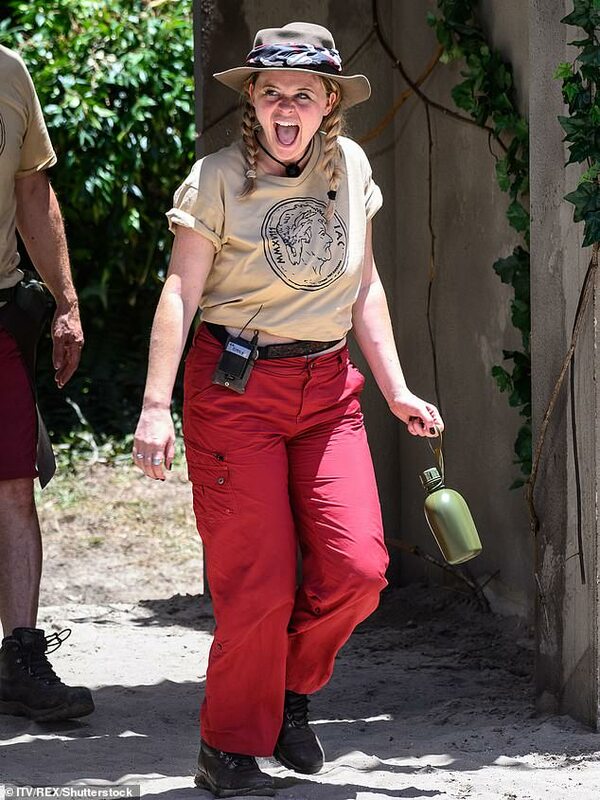 Despite her leaving her camp mates in historical laughter, she has revealed that she has been told to 'lose weight'. Since the popular series, the actor has been told on multiple occasions to 'go to the gym' in order to suit roles she is currently in. Before joining the show, the actor has said: 'There have been auditions where they've said nicely, "Would you be willing to go to the gym for this role?"'. She then continues to say that she finds it hard to lose weight, saying it takes time for dieting. The actor who's constantly being filmed in the Jungle set in Australia has said, "believing in my body figure is something I've always believed in". She continues, "I'm on camera all the time. Being body confident is important." She has stated that she feels the pressure to lose weight and be smaller than she is. She goes on to say she wouldn't 'leave the house without her makeup'. She has also revealed that she would feel completely fine in a 'normal world' but pressured from the film industry make her think otherwise, yet she admits that she doesn't want to change her lifestyle as she loves eating and wine as 'they make her happy'.